Photos of mythical creatures spotted in real life have surfaced and it’s whipping the internet into a frenzy. From Australia’s infamous yowie to evidence of a real vampire attack found on the deep web, here’s some legendary creatures caught on camera. This astonishing photo has sparked fierce debate around the Internet that yowies really do exist. 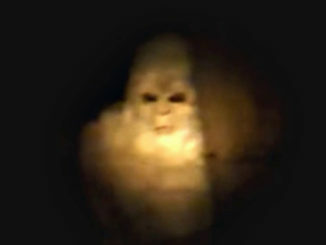 On March 5th in Nimbin, New South Wales, Australia a woman was allegedly attacked by a yowie. She said she was on a rural, country road when the beast jumped at her but managed to fight it off with a cricket bat. Yowies are mythical creatures from Australia that originated in Aboriginal folklore. They are said to be bipedal, ape-like animals that stand as tall as 3.6 m (12 ft). For centuries locals have reported sightings of this legendary beast. The woman said she yelled out to see if a wild animal was lurking in the nearby bushes. According to her account the mysterious beast was just 10 metres away, growling and grunting. ‘It was 6 to 7ft tall and full of hair – about 5 inches long – and it had hair down its cleavage and hair around and on top of its breasts. Its eyes the size of golf balls and its hands were huge reaching the knees,’ she said. Naturally, the story made headlines in a number of large news outlets. People began debating about what the animal might have been. Some dismissed the tale as a hoax, claiming it was cooked up to get a bit of publicity. Could this lady really have encountered the infamous yowie from Aboriginal legend? 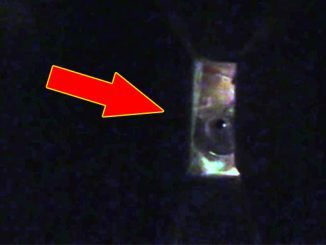 Some believe this video proves that gnomes and goblins exist. This old clip began circulating back in 2014. It shows some boys playing around in a room when suddenly something strange can be seen running along the wall. If you slow the footage down, you can see something sitting flush against the wall. As one of the boys gets close, whatever the object or creature is, it begins to run along the edge of the wall and hide behind a chair. It clearly freaks the kids out as they begin to scream. Sadly, the quality of the footage is very low so it’s hard to make any conclusive commentary. 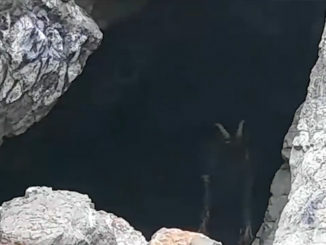 One viewer suggested that it might be a snake, possibly a cobra, that rears up to defend itself. Others however have said that it’s a gnome or goblin caught on camera. What do you think, Gnome, goblin or snake? Cast your opinions in the comments below. 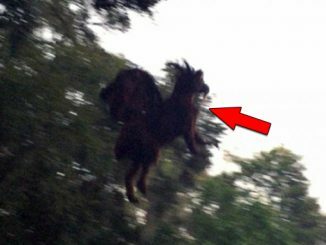 When this paranormal enthusiast set out to capture evidence of the infamous Jersey Devil they couldn’t have imagined the photo that would be taken. In 2005, Greg Hill went to the Barren Pines, a rural area just north of Wharton State Forest in New Jersey. He had heard rumours of a mysterious creature that had been spotted numerous times by locals – some were calling it the Jersey Devil. In the photo you can see a very strange creature lurking near some dense bushes. It has long, thin legs, a boxy looking torso and a sharp, pronounced head. Its arms are jutting out on strange angles, giving the beast a peculiar posture. The Jersey Devil is a creature from American folklore that’s rumoured to have haunted these lands since the 18th century. It’s said that when Jane Leeds, a poor woman who lived in the Pine Barrens became pregnant with her 13th child she announced that the “Devil can take the next one.” Legend has it that when the baby was born it was a horrific monster that escaped through the chimney of the house. Since then hundreds of credible sightings had been logged in the area. Police officers, military officials, teachers, even a former king of Spain claims to have seen the legendary creature. So what did Greg Hill see in 2005? 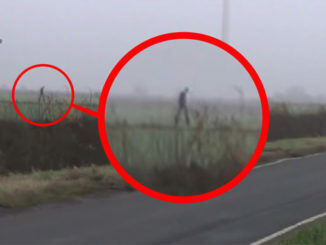 Many viewers have said the odd figure looks superimposed while others have fiercely defended the image, saying it’s just too strange to be doctored. 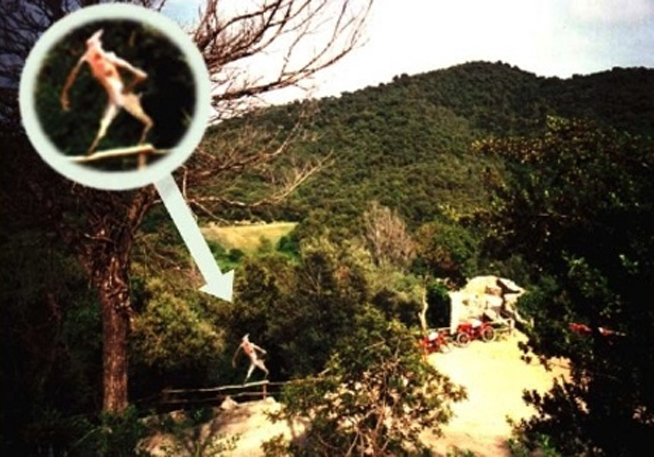 As it stands, with the community divided, this photo will be etched into the history books as yet another sighting of the mythical Jersey Devil. A number of years ago, there were rumours spreading through the dark web that there was actual footage of a vampire caught on camera sucking blood from a corpse. They say that there is only a single frame that remains as evidence of the vicious attack. This here is the only known shot of the so-called vampire attack caught on camera. It shows a person sleeping in bed, peacefully unaware of the danger lurking nearby. Next to the bed is what many underground forums believe to be a genuine vampire. It’s a dark, hooded entity with long, pale fingers. It looks to be moving towards the sleeping victim, it’s fingers eerily feeling about in the darkness. Those who claim to have seen the original footage say that they wish they never saw it. It’s allegedly a terrible sight of violence and gore, something akin to a snuff film. It’s said that the footage began mysteriously disappearing from dark web forums. It vanished almost as quickly as it appeared. Some users believe that a secret government agency took down all copies of the video before too many people saw it. Eventually the footage became something of a myth, whispers of it found only on a few obscure forums in the deep web. And so, according to the legendary underground tale, this is all that remains of the disturbing footage. Admittedly, this story sounds like something ripped directly from a ‘fanfic’ creepypasta website. The scant evidence, rumours sprouting from the deep web, no real credible witnesses. But perhaps viewers tend to scream fake when the truth is just too chilling to come to terms with. 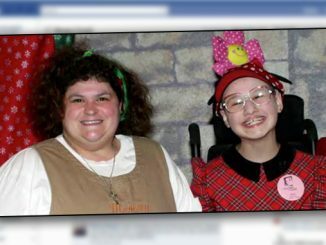 Here’s another strange clip purporting that gnomes really do exist. The very brief video, seems to show the moment a garden gnome shuffles behind a flower bed. The camera holder hastily runs along their porch and begins filming the little, gnome-like creature. It’s looks to be about a foot high, dressed all in white with a pointy hat on. 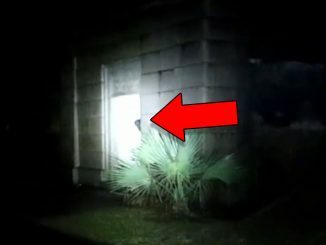 Unfortunately, as with a lot of these types of videos, the camera shakes and the quality is low but you can still see that the creature moves – it shuffles slowly behind a row of plants. The shaky camerawork and terrible resolution suggest that this could simply be a hoax. The low quality would make it easier to add CGI without it looking too out of place. However, the video isn’t without its fans. Many are calling this genuine evidence that gnomes are real. Some enthusiasts claim that a world of gnomes and fairies exists all around us, it’s just humans lack the sensory function to see it. Stories of gnomes, goblins and fairies have punctuated worldwide folklore for millennia. 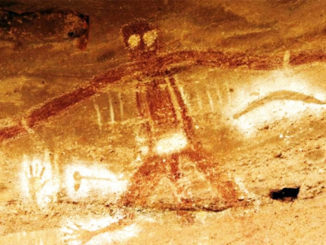 Could this then be a glimpse at an illusive legend that has captured the imagination of humans since the dawn of time? This is a curious little clip that apparently shows a real unicorn grazing in a field in England. Unfortunately, it’s not known where this footage was taken and details are scarce at best. In the distance you can see what looks like two horses grazing in a field of grass, one brown and one white. However, it becomes obvious that the white horse-like creature has a single horn protruding from its head. For centuries, man has been describing a mythical beast with a single, large horn. The ancient Greeks wrote about a legendary animal that could only be tamed by a virgin. Their horns were said to have healing properties and could turn poison into drinkable water. Unicorns are also referenced in the Bible as re’ems, mystical creatures featuring one spiralled horn. It’s written that King David rode a unicorn to heaven to avoid the threat of a lion. Unicorn enthusiasts all around the world are rejoicing, claiming that this is the first hard evidence that their favourite beast of legend is actually real. Could this really be a glimpse of the fabled unicorn? This startling footage appears to show a prehistoric beast swimming in a river in Australia. In the video you can see a strange animal-like figure pop its head out of the water. It’s long and black and seems to undulate through the water with ease. The provocative clip has been floating around social media since 2017, many call it proof of the mysterious Hawkesbury River monster. The footage was captured by 65-year-old Fethi Ada during a family fishing trip on the Hawkesbury River in Australia’s eastern state of New South Wales. The Hawkesbury River Monster is a local legend that has accumulated hundreds of reported sightings. Historians have actually discovered paintings that depict the monster dating back thousands of years. Many believe that the Hawkesbury River Monster is some sort of illusive prehistoric creature that has managed to escape extinction. Could this really be proof of the ancient monster that has haunted these waters for millennia? 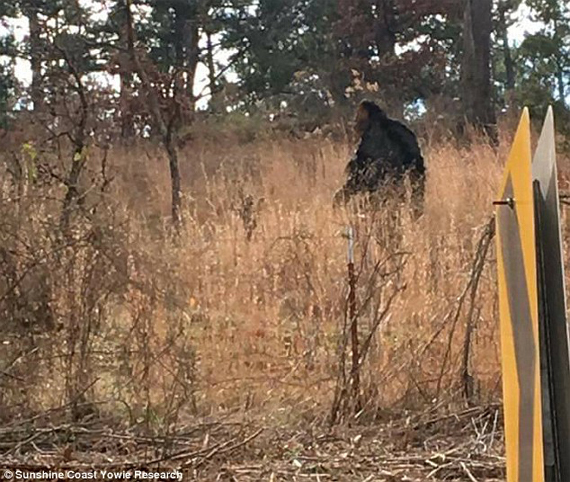 Well there’s our look at some alleged mythical creatures spotted in real life. What do you think, real or fake? 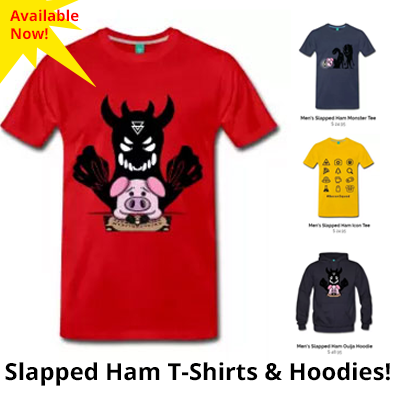 Let us know your thoughts in the comments below or on any of our socials.